While we're not likely to receive much snowfall here in Dallas, that doesn't stop us from feeling festive and ringing in the holidays in style. To help us kick off the season, the esteemed Gaylord Texan plays host to thousands of visitors for their annual ICE! event and indoor Christmas wonderland. We'll be staying the weekend of November 20th. Want to join us? I have an exclusive offer for readers I'll detail below, but let me dazzle you with the many reasons why we'll be visiting their ICE! exhibit. The indoor Christmas wonderland features more than more than two million pounds of hand-carved ice sculptures (two million!). It celebrates cultural traditions from around the world featuring holiday scenes and children from Mexico, Germany, and others. This being Texas, expect the unexpected. My daughters will be thrilled with the two-story tall ice slides, an enchanting parade of toys and larger-than-life ornaments. 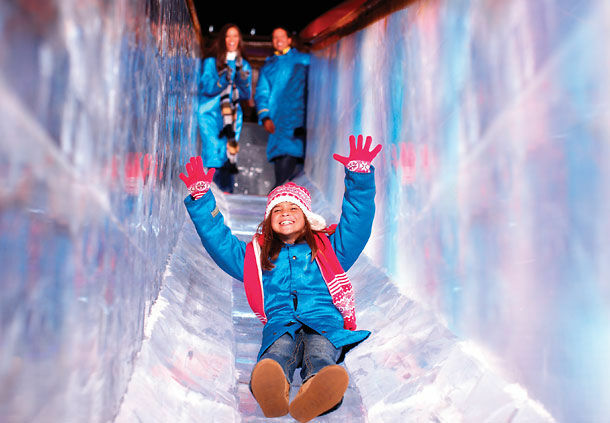 You can also travel through the North Pole and sit inside Santa’s sleigh or experience the Frostbite Factory – an interactive ice carving station. Sonnds fun, right? The amazing holiday experience concludes with the majesty of a full nativity in stunning, crystal clear ice. Brilliant. Use code FRANKIBLOG to save 50% on tickets for ICE! valid 11/16 - 19, and 11/23 – 25. Tickets can be purchased online. Limit of 10 tickets per purchaser. Not retroactive. Not valid with any other discounts or offers. Other restrictions may apply. The event itself runs November 12, 2015 - January 3, 2016. 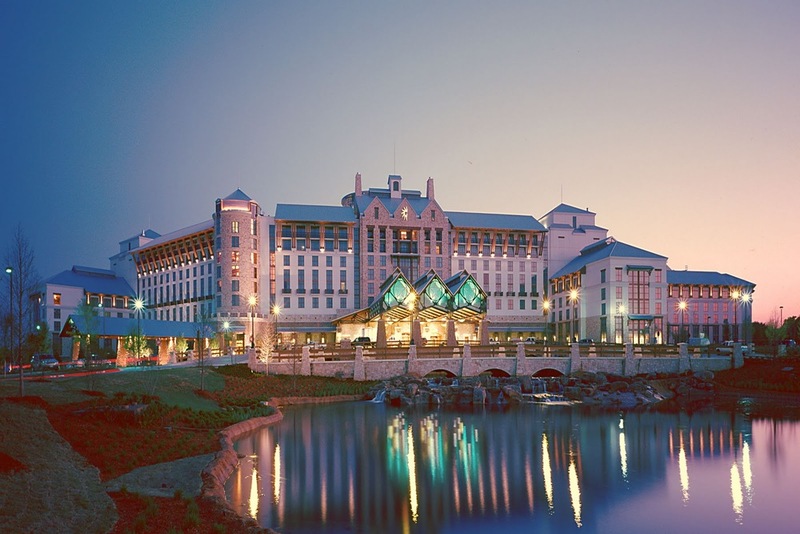 In addition to the beauty that is the resort itself, The Gaylord is also "the" hotel of the Dallas Cowboys Cheerleaders. Love to meet them? Don't miss the Dance & Cheer Brunch on November 22 or December 13th. Info on this fun event is below.